A free EP to introduce all you Silberians to From Oceans to Autumn. Following the demise of their former band Autumn Is Forever (1997-2004), Brian Helms (guitar & samples) and Allen Knight (bass) started this Charlotte, NC based band in Summer 2006 by recruiting Eddie McDaniel (drums) and Jodi Haas (guitar) to record their debut full-length album Calmed By The Tide, which was released in 2007 (and re-released in 2010) through Forgotten Empire Records. In July 2008 FOTA released a split EP with Scottish labelmates Fire on The Horizon, recorded the EP Equanimity to offer it as a free download through their website in 2007, and then went on to release their sophomore album On Earth As It Is in October 2010. the band then caught the attention of Silber, who signed the band for the release of this free download EP and the upcoming full-length Oath Of Eternals. Short and sweat history-of-the-band, and we can easily keep our musical appraisal of the band pretty short as well. FOTA brings us hypnotic music in a broad range of instrumental Post-Metal and Drone Rock, with influences from the likes of Isis, Taken, Earth, Sunn O))), and Rosetta...and people into those bands and instrumental Shoegazer (high factor of that here) can almost blindly order anything ever released by this band! Oh well, of course you could first download the 2-track, 18-minute EP from the label's website, eh? Ya gotta love the samples on the second track (does that come from NASA transmissions to some space craft?). Ooh...and more material by the band can be heard at (www.) myspace.com/experimentalautumn. I'm definitely looking forward to the full-length, and checking as soon as possible whether any of the band's previous releases is still available! Yeah Baby, year-list material again! At the minute I'm working through a bit of a backlog of things that have been sent to us while I was MIA. This is one of them, a really beautiful EP by From Oceans To Autumn called The Flood/The Fall. They play Post Metal with mega influences from Shoegaze. I'm getting more and more into this the more I hear it. This is definitely going to be played for a long time to come by me. This is a new e.p. from an instrumental shoegazing metal band on Silber Records. Good Stuff! Hailing from Charlotte, North Carolina, ‘From Autumn to Oceans’ create heavy, brooding post metal soaked in a nostalgic air of early 90’s alt rock/grunge sentiment. Their new EP; ‘The Flood/ The Fall’ (each track on the EP named accordingly) grabs your attention straight away with ‘The Flood’, nine minutes of loud shoegaze rhythms and distortion, evoking My Bloody Valentine and Isis simultaneously which no doubt will turn heads from fans of both. Lastly ‘The Fall’ ups the ante by introducing speedier drums and louder riffs but still in keeping with the melancholic atmosphere of the previous track, ensuring that the two tracks do not seem disjointed. 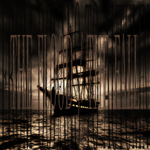 Shamefully too short even for an EP, ‘The Flood/ The Fall’ has left me like a jonesing heroin fiend. Two tracks and I’m hooked; desperate for more, luckily Silber will oblige me with an upcoming new studio album ‘Oath of Eternals’. From Oceans to Autumn is an instrumental drone/post metal band that brings us a 2 track, 18 minute EP titled The Flood/The Fall. Reviewing this actually provides some interesting challenges, as I’m not particularly well versed in post metal, and only being a 2 song EP, it has different goals from the traditional album. Let’s see what we can say though about this release. Firstly, the two tracks are about 9 minutes each, and run together fairly nicely. For the length of the EP and the general level of variety, I can’t criticize it for being dull or same-y, nor can I call it dry. The atmosphere of the music is very well achieved and expressed. It’s a bit creepy, a bit dreamy, and the soundscaping is done masterfully. In particular, the bass work on the album is, while not a technical masterpiece, a perfect fit for the rhythm, and a huge presence in the music. I can’t in good faith qualify it with other drone metal, because within 18 minutes, I hear a much more immersive and dynamic experience than typical drone, and that’s a really good thing. For what it seems to aim to be, an atmospheric instrumental experience, The Flood/The Fall is certainly passable, even very good, I can’t say recommending an EP is my usual route, but From Oceans to Autumn is a band I would certainly recommend and I’ll be checking out myself. One of the latest additions to the Silber roster, with these two tracks being offered by way of an intro to the band. Recommended for those that like label-mates Irata, or anyone who likes energetic, instrumental music. From Oceans to Autumn è il progetto musicale del duo americano di Charlotte, Nord Carolina, formato nell'estate del 2006 e composto precisamente da Brandon Helms alla chitarra, Robert Knight al basso, accompagnati da Eddie Daniel alla batteria e Allen Knight ai keyboards. Reduci dal seguito delle precedenti collaborazioni discografiche nel 2007 con "Calmed by The Tide" per la Forgotten Empire Records, nel 2008 con la Fire on the Horizon, escono nel 2010 con l'ultimo album intitolato "On Earth As It Is". Da maggio possiamo ascoltare invece il nuovo Ep "The Flood, The Fall" edito dalla nota etichetta americana Silber Records. Il progetto è stato registaro presso il Lodge Studios, mixato da B. Helms e masterizzato da Brian John Mitchell. Due brani strumentali, nove minuti ciascuno, nessun accenno vocale solo un alluvione di chitarre, un po ripetitivo per i miei gusti ma il risultato è un puro sound metal con influenze Shoegaze e coinvolgenti ritmi post rock & heavy metal..consigliato agli amanti del genere.